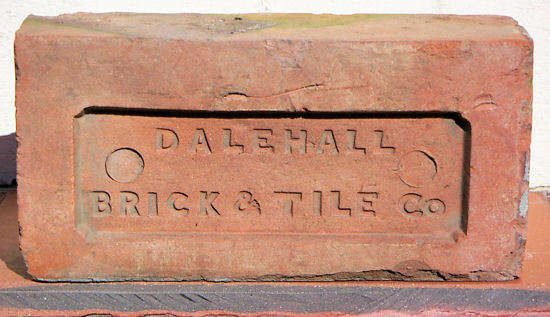 Part of Stanley Bros becoming a limited company in 1896, Dale Hall Brick and Tile Works was mentioned in the expansion plans. This sent me on a journey up to the Potteries hoping to find some information about the works. I have little on the begins of the place, however thanks to the Stoke On Trent Library, they had a plan of the Brick Works from 1876 (right). The Burslem family lived in the area as early as the 13th century. The land was passed down through various members of the family, when some time in the 16th century there was a mention of them living at Dale Hall. Stoke On Trent has always been known for its clay and the landowners must have seen the potential and a brick and tile works was formed. The plan comprised of a clay and marl bank, established works with various kilns and ovens. The valuable clay was also made available to the local pottery firms, a commodity in demand during that era. Added to the fact Longport Railway Station was in close proximity, it made the works a great addition to the Stanley Bros portfolio. 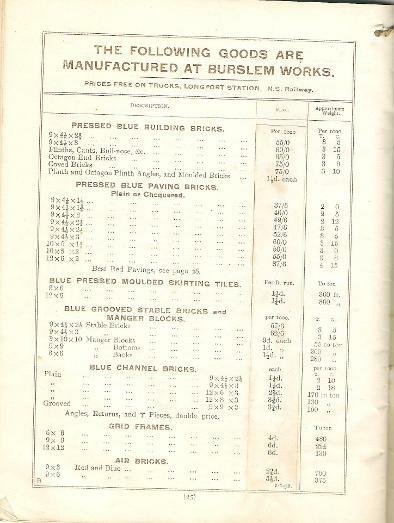 Above is a page from the Stanley Bros pricelist (own collection) it shows the Burslem products available in 1898. 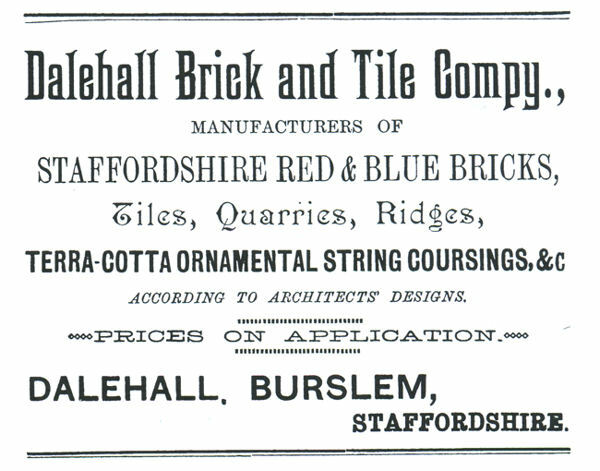 In 1895, Dale Hall covered nearly eight acres of freehold land within the flourishing town of Burslem and was valued at just over £10,000. In the prospectus the clay at the works was described as'Valuable beds of red and blue clay, the quality of which is universally admitted to be equal to any in North Staffordshire' , specialising in the manufacture of red and blue quarries, roof, tile ridges, you can see a couple of examples below. Previous to Stanley Bros becoming a Limited Company, Reginald and his close friend Arthur H Rogers had been in partnership at the works, Arthur would soon step away from the company and the brickwork's became known as Stanley Bros (mentioned in the Kelly's Directory of 1912). These bricks are part of a bigger collection by Ken Perkins, he had over 150 local North Staffordshire Bricks. The collection can be seen at the Apedale Heritage Centre. 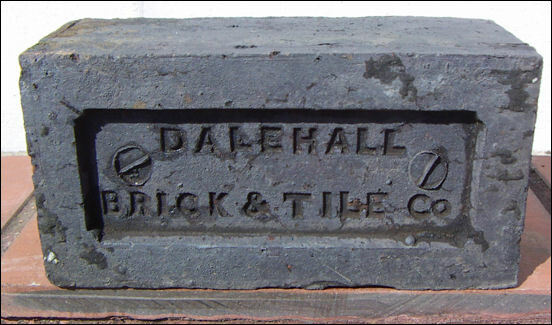 Thanks to Stoke on Trent City Archives and information on Dale Hall supplied by Steve Birks at www.thepotteries.org. Also the Warwickshire County Records Office and the Stanley Bros Collection, who had a copy of the prospectus.